The best Japanese anime does not shy from the big topics. Mamoru Oshii’s marvelous “Ghost in the Shell” (1995), recently remade in a live-action version, tapped into the mystery of what makes us human. The films of Hayao Miyazaki, now retired master auteur of Studio Ghibli, ignited the magic that underlies the surface of the ordinary. Makoto Shinkai, director of the Japanese box office blockbuster “Your Name” and touted by some as the successor to Miyazaki, touches on all of the above and also body swapping, the enigma of time, the illusion of identity, and a possible apocalyptic disaster. The results suggest that’s more than any one movie should try to tackle. But being cluttered isn’t the only problem with “Your Name.” It also features insipid characters and dippy montage music from the J-pop band Radwimps. In essence, it’s a love story. Socially inept high school boy Tika (Ryûnosuke Kamiki) lives in Tokyo and feels lonely and lost in the big city. 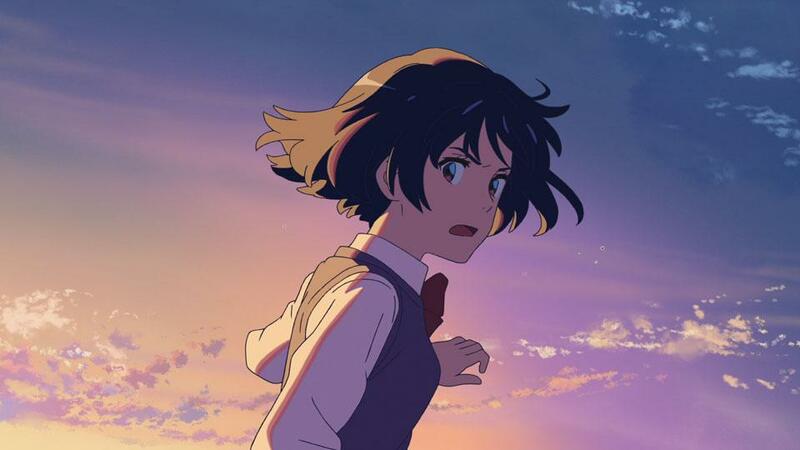 Privileged schoolgirl Mitsuha (Mone Kamishiraishi) finds her scenic but petty small town to be suffocating and longs to move. They’re the perfect couple, but they’ve never met. In real life, that is. For some reason, each vicariously lives the other’s life in random dreams, at first awkwardly but with increasing competence (though Tika can’t get over the experience of having breasts). It’s kind of like the movies. Will they ever meet? Not if Shinkai’s convoluted and confused plotting has anything to do with it. They do establish contact — first by writing cryptic notes and then by sending texts. Couldn’t they find out each other’s name online? The time travel/catastrophe element might have something to do with it, but if the guy in “Lion” can pull it off, surely they could also. On the other hand, Miyazaki’s narratives weren’t always tidy, either. And to his credit Shinkai has Ando Masashi, the Ghibli animator who worked with Miyazaki on “Princess Mononoke” (1997) and “Spirited Away” (2001), on his team. The way Masashi depicts wind blowing through grass or a falling star illuminating the sky makes any dream, however convoluted, seem real. Written and directed by Makoto Shinkai. Starring Ryûnosuke Kamiki, Mone Kamishiraishi. At Boston Common, Kendall Square, suburbs. 106 minutes. PG (thematic elements, suggestive content, brief language, and smoking). In Japanese, with subtitles (also playing in a dubbed version starring Michael Sinterniklaas and Stephanie Sheh).